Farmers will no longer be able to burn silage wrap on farm. A huge waste-disposal bill is on the cards for Scottish farmers following the news that the use of drum incinerators to dispose of farm plastics is to be outlawed. The move will come as a shock to the thousands of Scottish producers who currently hold a registered exemption from the Scottish Environment Protection Agency (Sepa) which allows them to legally burn their plastic waste in this manner. But following the revelation that the practice has been illegal across Europe since the EU changed regulations in 2013, the Scottish Government has asked Sepa to revoke these exemptions and ensure that producers either recycle their waste or pay to have it disposed of through a licensed commercial operator. While it has long been the case that farmers have not been allowed to burn big piles of plastic in open bonfires, there has been a longstanding arrangement that simple drum incinerators, which allow a fierce burn without the production of black smoke, can be used as a means of disposal – and farm assurance schemes have long checked that exemption licences have been granted for these. 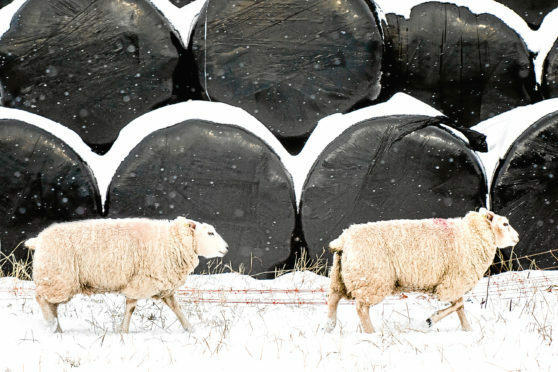 But with estimates indicating the industry currently disposes of more than 50,000 tonnes of plastic waste – including silage wrap, net wrap, fertiliser bags, chemical containers and many other items – on-farm each year, the move is likely to cost the industry millions of pounds. NFU Scotland deputy director of policy, Andrew Bauer, said that following intense lobbying, the union had been told that the ban would not come into place until January 1, 2019. However he added that this date had not yet been officially confirmed. A spokesman for Sepa said the organisation was drawing up an information leaflet specifically for land managers. He said it would write to the 5,000 existing registered exemptions, advising them of a change in the law and removing their exemptions from the Public Register.